2018 has been, for lack of better terminology, a bit of a dumpster fire. I don’t just mean for me personally. The whole world feels so fraught with tension, anger and resentment, and it’s hard not to let those feelings seep under your skin. Over the past twelve months I’ve experienced some of the most exciting moments of my life (graduating from university, landing my first real journalism job) and some of the hardest. One constant throughout it all has been my ability to get lost in a good book. Anyone who knows me well knows how much I love thrillers and murder mysteries and dark storylines. But late last week I picked up a book I was planning on reading and reviewing. It was a story about murder, revenge, and crime, so it seemed like it would be right up my alley. But only a few pages in I realized that, after a stressful day, I just wasn’t in a good state of mind to be reading something that could bring me even further down. I put the book aside and decided to turn my attention to something happier and more positive. I almost immediately felt better. I’ve never been a naturally peppy or uber-positive person. I tend to look at the negative side of things and always picture the worst case scenario. It’s a habit that I’ve been trying to break, but it hasn’t been easy. I’ve come to realize that my actions and choices can drastically affect how I feel, and I’ve decided to try a variety of things to maximize happiness. One of those things is focusing on reading happier books. The others include drinking more water (I’m not sure how this will help but the internet has convinced me it’s important) and exercising more often (which is just terrible). So, if you’ll forgive me for my long, meandering introduction, here are the books I recommend if you’re just looking to feel good for a little while. While I can’t say I’ve read too many comedic novels in the past year, here are a few of the books that genuinely brought a smile to my face and made me feel a little lighter. 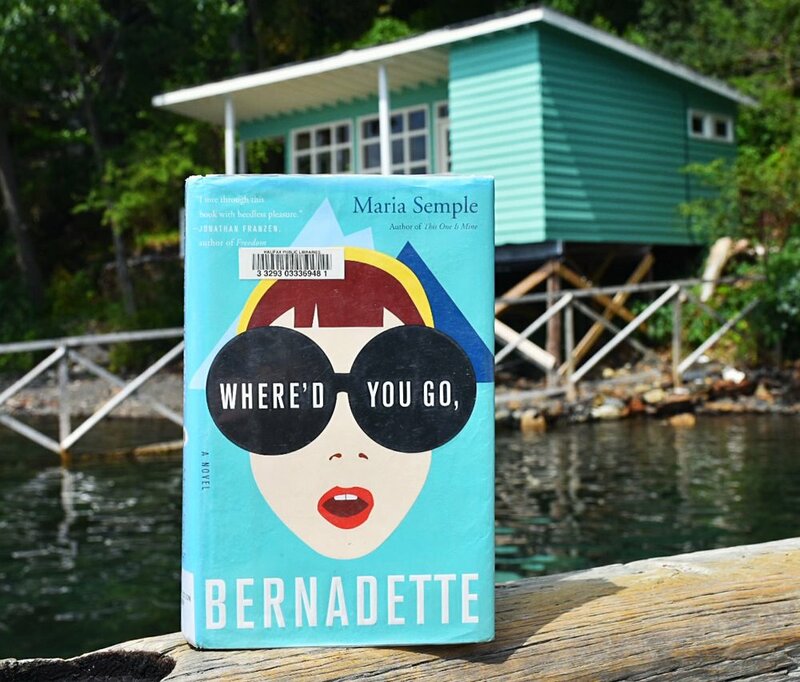 Where’d You Go Bernadette by Maria Semple - A book so full of love, laughter, and pure emotions that you won’t be able to put it down. Teenager Bee Branch is trying to track down her missing mother - the hilarious, mysterious and enigmatic Bernadette Branch. As Bee pieces together her mothers’ last movements through a series of letters, emails, and other forms of correspondence, what emerges is a picture of a woman who may simply be too smart and original to function in the real world. Read my full review here. The Rosie Project by Graeme Simsion - This was one of the most pleasantly surprising novels I read in 2018. Don has always done things in his own very specific, structured way. He struggles with social interactions and has been unable to form a successful relationship with a woman. When he decides to hand out a questionnaire in an effort to find the perfect mate, his plans are thrown off course when rough, imperfect Rosie steps into the picture. Read my full review here. Other People’s Houses by Abbi Waxman - I stumbled across this book while searching for something to fill the neighbourhood drama void Big Little Lies left in me. Like BLL, it tells the story of members of a small community who realize they know a little too much about each others’ lives. Abbi Waxman’s commentary makes upsetting subjects like extramarital affairs and feuds between friends feel light, human, and comfortable. Read my full review here. Wild by Cheryl Strayed - Although I’m sure many readers have already flown through copies of this book-turned-film, I highly recommend Wild to anyone struggling with personal issues. Cheryl Strayed, in her mid twenties, decides to leave behind her life and hike the Pacific Crest Trail on her own. It’s a humbling, heartfelt true story that will leave you feeling raw, grateful, and desperate for adventure. Read my full review here. The Greatest Love Story Ever Told by Nick Offerman and Megan Mullally – The fact that two of my favourite actors (and Parks and Recreation co-stars) are married in real life is enough to make me joyful. The fact that they’ve now written a book is almost too much. This book is the heartwarming, hilarious, and captivating story of one of the best relationships in Hollywood. If that doesn’t make you happy I’m not sure what will. Calypso by David Sedaris – Described as “cheerfully misanthropic”, Calypso is a compilation of stories from a renowned comedian and radio personality. With a bit of an edge and some darkness, Calypso isn’t just a book of humour, but rather an introspective tale of how difficult it can be to just be a person. Becoming by Michelle Obama - What’s better than having an incredible role model to look up to and to inspire you? Michelle Obama’s memoirs, already one of the bestselling books of the year, offers insight into the life of one of America’s most well-known women. Given a platform of her own, Obama describes her upbringing, her role in the White House, and her relationship with former president Barack Obama. The Little Book of Hygge & The Little Book of Lykke by Meik Wiking - These books, written by the CEO of the Happiest Institute in Denmark (the happiest country on earth), are literal how-to guides when it comes to happiness. 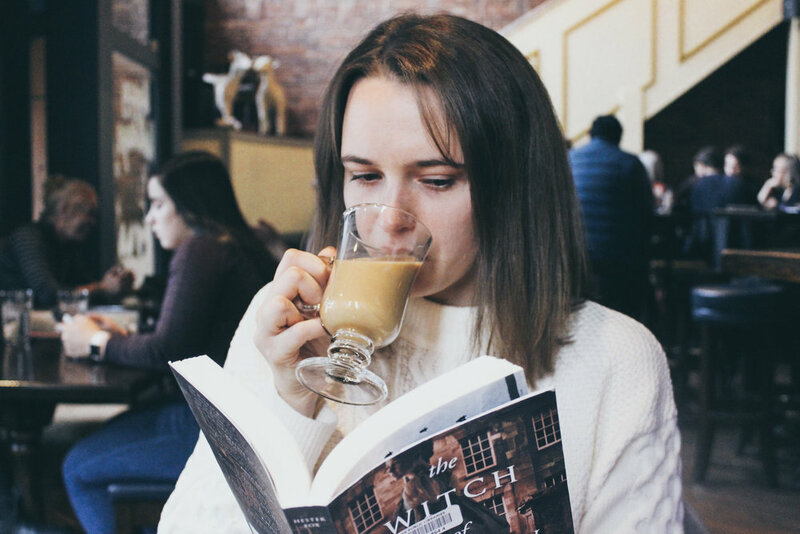 Filled with information on maximizing coziness with candles, interior design, and mulled wine, you’ll get lost in the loveliness of these charming little books. When’s Happy Hour? by Aleen Kuperman, Jordana Abraham, and Samantha Fishbein – from the women who created the digital brand Betches Love This comes a third book filled with humorous and satirical self-help advice, this time aimed at helping you get ahead in your job. The Power of Habit by Charles Duhigg – Award-winning reporter Charles Duhigg examines the neuroscience behind forming and breaking habits. With a series of human interest stories and anecdotes he explores how habits can benefit and harm people.